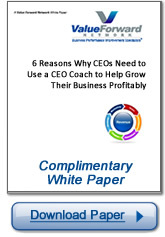 The CEO Coaching and Corporate Success Retainer Program is designed to give CEOs and their management teams one-on-one strategic advice and executive mentoring on financial management, corporate strategy, marketing, strategic planning, sales process, sales management, operations, exit strategies and corporate mergers. The goal of our program is to provide proactive support to the CEO to help them maximize their corporate performance and reach their personal goals. The BPI Strategy Group offers executive coaching to senior management teams and individuals seeking to increase corporate or personal business performance. Call us at 617-532-0918 or email at info@bpistrategy.com for additional information and to schedule a 20 minute chat about our services.